I was born into a deeply devout Catholic family so it was natural for me to be moved by the selection of a new Pope. 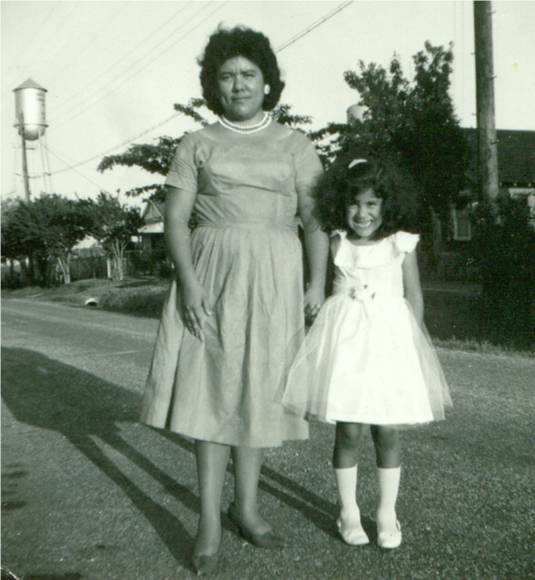 I also celebrated my First Communion, Confirmation and Quinceañera with full blown Mexican-American family celebrations. 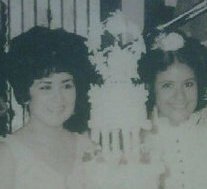 My mother celebrating my Quinceanera with me. It was a big deal. Along the journey, most of the family left the church except my mom. We found different congregations to fellowship and worship the Lord. I dropped church and belief in God altogether for many years. But I returned to the Shepherd’s fold when my child was born, for her sake I say, but God caught my heart and that was a game changer – I fell deeply in love with the Lord. We have a Pope text! If I say I love God, then I have to love all of God’s people even though I no longer believe as they do. I found myself praying for the Catholic cardinals to make the right selection. I joined the Adopt a Cardinal site and prayed for Cardinal Antonio Maria Veglio to make a Spirit-led choice. More than half a million of us were praying for the right person to be selected. I also signed up for Pope Alarm and received a text when the smoke turned white. My soul feels happy that in middle of an age when so many no longer believe in God or want to participate in “religion,” the election of a spiritual leader for a large number of the souls in the world today got so much world-wide media coverage. Now my Catholic brothers and sisters have their senior pastor and spiritual father, Papa Francisco, from Argentina. I can’t help but love him and pray that God will use him in powerful ways. After all, it’s all about God’s purposes and you and I can never-ever know the extent of God's purposes. Deep down in our souls regardless of what our mouths profess, we all have a great need for the spiritual force that created us. When God catches your heart, let Him have it.